Phenotypic excellence best describes Wessington and he nursed a truly beautiful first calf heifer. Long bodied, tremendous muscle shape with an excellent foot structure. 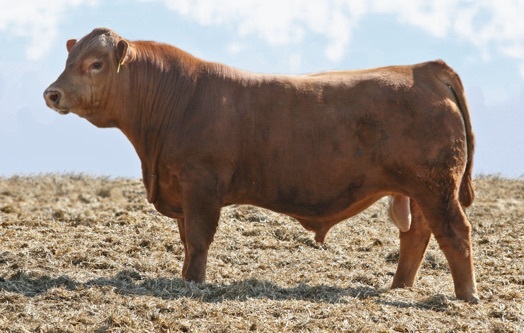 Wessington is backed by a great cow family loaded with fertility and longevity. His 11 year old Dam of Distinction grandam, JRI Ms Millie 213T4, features a 106 weaning weight and yearling weight ratio on her progeny.